Daniel Sternklar is an entrepreneur, digital artist, videographer, animator, virtual set creator, director, producer, musician, composer, stereoscopic multimedia producer, software developer, & virtual reality pioneer with nearly three decades of experience. A community called Robots for Good has come together to help kids stuck in Great Ormond Street Hospital in London visit the zoo. If the name hasnt given it away, the project involves robots, but perhaps not in the way you might be thinking. 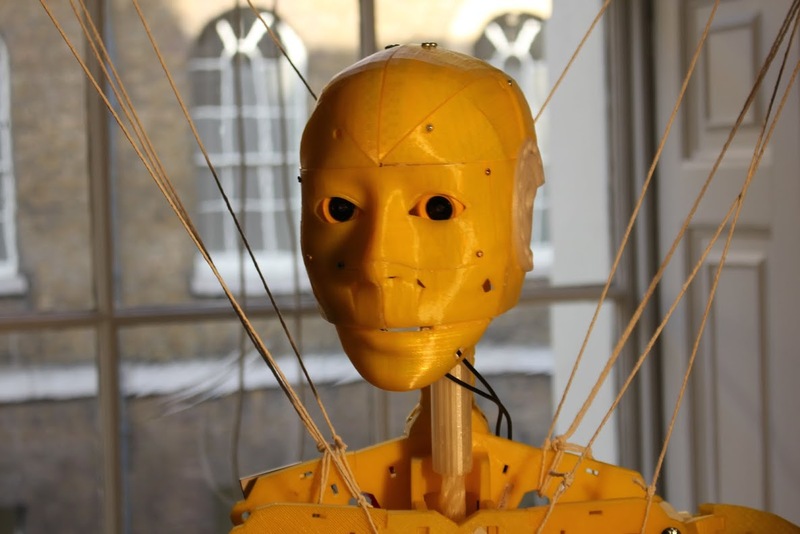 The group is 3D printing a life-size humanoid robot that strolls, or more accurately rolls, around London Zoo, all under the control of a child back at the hospital. But its a bit more immersive than that: The robot is hooked up to an Oculus Rift virtual reality (VR) headset, so children can treat the robot as an avatar and feel like theyre interacting with the animals themselves. Much like the increasing trend for journals to provide open access papers, more and more technology is going opensource, and its thanks to this movement that this venture has been possible. It was born out of two such existing projects: Gael Langevins 3D-printed robot called InMoov and Boris Landonis Segway-style vehicle called OpenWheels. As open hardware, anyone with Internet accesscan download the blueprints for the tech and share, modify and develop them however they so wish. And thats exactly what Robots for Good has been doing. We really saw this as a way to show people what open hardware is, Richard Hulskes, co-founder of Wevolver, the startup that initiated and is hosting the project, told IFLScience. Its available to anyone to build and contribute, but at the same time its really affordable. Since the projects inception in 2012, Wevolver has been getting people together from all across the world and making sure they communicate and share their knowledge. Contributors have been keen to turn this dream into a reality, but its not just individual people chipping in: Companies have also offered their services, donating material and bringing in their expertise on virtual reality. I think that distinguishes us asa platform. That we bring together not just hackers and geeks, but people from all different fields, said Hulskes. Not only that, but Wevolver is doing this out of their own pocket, costing the team around 3,000 ($4,500). So far, the community has finished the torso of the robot, but there is still a long way to go. Next on the list are the wheels, which are based around the open-source Segway mentioned earlier. Sounds easy, but Segways are built for people to stand on and balance; this robot has no legs. The community is working on overcoming this hurdle by restructuring it so that it can be reliably maneuvered by a game controller, which would be operated by a remote user. There is also the fact that a robot torso plonked on a Segway looks rather ridiculous; a grammar school has offered their help with this issue bypitching 3Dprintable redesigns for the base. At the moment, there is no way for the arms to be controlled, but Hulskes says Wevolver is now working with a pair of developers to create a pair of sensor-lined gloves so that the robots hands will replicate movements of the user. And here is another tricky part: Users will maneuver the robot using a remote control, which obviously requires hand movement, so they have to make the gloves in such a way that both operations can be performed without interfering with one another. The robots head movements are slightly easier, following those of the headset-wearing user. The robot has to be fully assembled in time for a launch at the zoo next Easter, but in no way will that signal the end of this venture. My vision with this project is that we create the prototype, create the idea and then just let it go, said Hulskes. We want others to pick it up. What I hope is that more and more people start building this robot so that kids in London can check out a robot in New York, for example. There could be a network of robots that people can check in with all across the world. This isnt just a concept, but were gonna let it go. If a 3D printer is something youre lucky enough to own, there is nothing stopping you joining in or building your own version ofone of these robots. If youve got time to spare, itll take you a couple of months. Of course, it doesnt have to be zoos that these robots frequent. London Zoo is already thinking about what they can do next with the robot, and is hoping to deploy one or several in a wildlife park they own in Africa. Moving away from animals, Hulskes envisions them also being put in nursing homes for the elderly. Needless to say, this is the start of something very beautiful, and we cant wait to see where it goes.